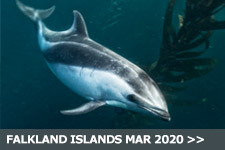 Delivery Passage from Falkland Islands to Cape Town 11 April - 23 May 2020 - An opportunity to build sea time and miles and practise ocean navigation and seamanship. 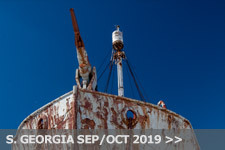 Pelagic Australis will be embarking her crew at Port Stanley on the Falkland Islands on 11 April 2019. After a training course on shore, and a further 2 week's cruise of the Falkland Island's scenic anchorages to put these skills into practice, the vessel will depart for her transatlantic voyage. This 4500 mile ocean passage is expected to take 21 days with an ETA into Cape Town of about 23 May. 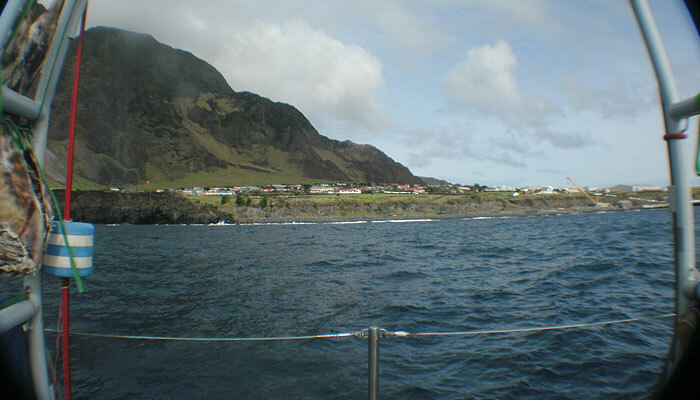 Weather and circumstances permitting a stop at the remote island of Tristan da Cunha is a possibility. 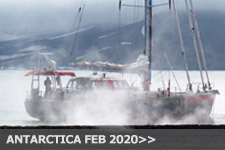 Recently, the RYA Offshore shorebased course has been augmented with more theoretical work which is now difficult to fit into an intensive five day time span – and the course work has become more complex. 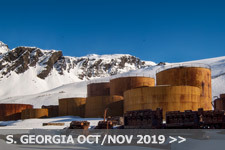 Because the profile of our clients/students on this end of season delivery programme is ‘mature’ rather than ‘zero to hero’ youngsters, we have designed a course of study, The Pelagic Syllabus, that is more relevant to the cruise around the Falklands Islands and the ocean passage to Cape Town. However this new programme is still relevant for students wishing to eventually get their RYA Yachtmaster Offshore License, as in one sweep it provides double the ocean miles required for that ticket. 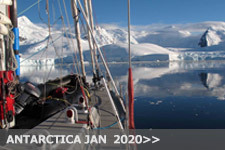 The new syllabus including the RYA Yachtmaster Ocean option, which emphasises celestial navigation and ocean weather, will be run by a qualified RYA instructor flown down from the UK, who will then stay on board for the Falklands cruise to help reinforce the course work, along with the professional crew. 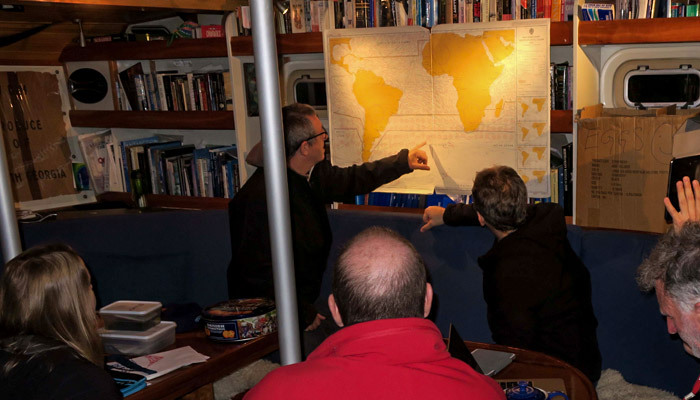 The new Pelagic Syllabus including an option to complete the RYA Yachtmaster Ocean Theory certificate will run during the first five days of the programme in Stanley. 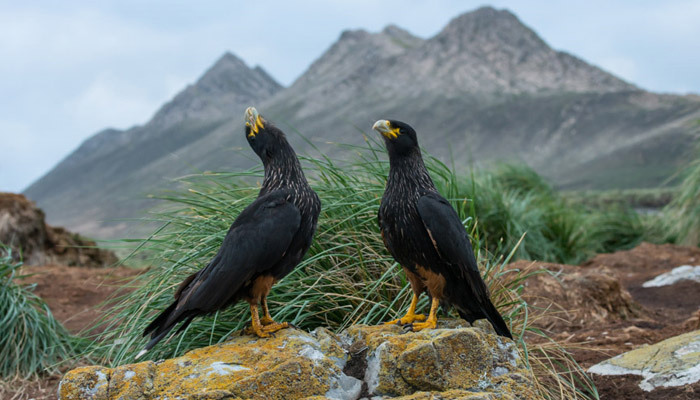 After the training course in Stanley, the focus of this programme is to use the two week cruise within the complex nature of the Falkland Islands archipelago, see Falklands page for more info, for honing student’s navigational skills. 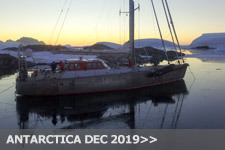 This cruise will be under the guidance and assistance of the RYA instructor joining the vessel for the course, along with the Pelagic Australis crew. Then, the ocean voyage from Stanley to Cape Town, without the RYA instructor but supervised by the professional crew, serves to provide students with an opportunity to grasp every aspect of what it takes to pilot and crew an ocean sailing vessel across the breadth of the Atlantic Ocean. 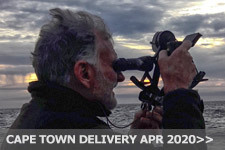 In addition there will be plenty of opportunities to practise the celestial navigation skills learned earlier on the shorebased course to aquire the data and qualifying miles to sit the Yachtmaster Ocean practical subsequently. Later after completion of the voyage, a potential candidate can sit an 'Oral' exam with an Ocean Examiner where the sights are scrutinised and they are asked about all aspects of the passage and the 'Celestial Navigation'. If the examiner is happy, they 'Pass' their RYA Ocean 'Practical'. 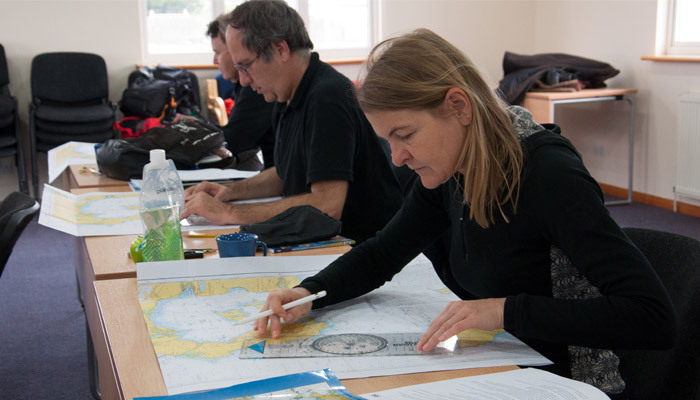 Please note that to take the RYA Yachtmaster Ocean practical, the candidate must hold a valid RYA Yachtmaster Offshore practical qualification. 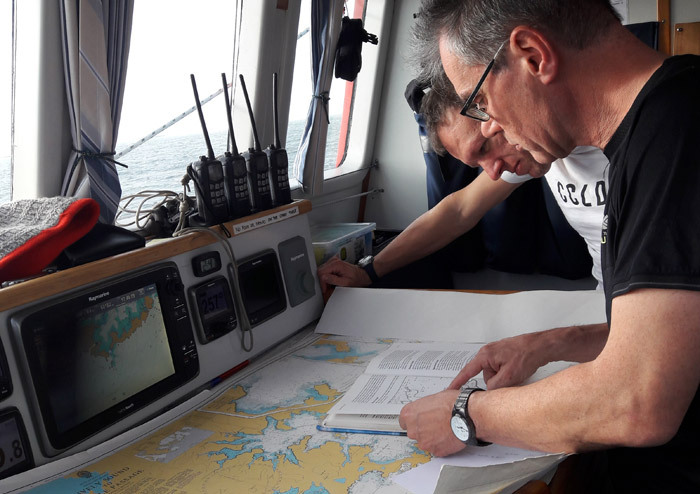 However as the sights and passage record are valid to sit the Ocean practical for 10 years after the voyage takes place, therefore there is a 10 year window to aquire an RYA Yachtmaster Offshore Practical license if a student is not already so qualified. Please Take Note: This is a hands on situation and is not a leisure cruise. Crew members will be required to stand a watch throughout, take turns at cooking, cleaning and maintaining the vessel. A reasonable degree of fitness and vitality is necessary for making this an enjoyable experience. In order take part in the Pelagic course training it is essential that the student is fluent in spoken and written English. Experience Required: This is not a voyage for beginners. Every crew member is expected to have a reasonable degree of offshore experience to fully benefit from the course. 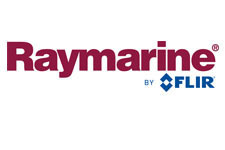 An RYA Day Skipper qualification or other equivalent is the level we are looking for. 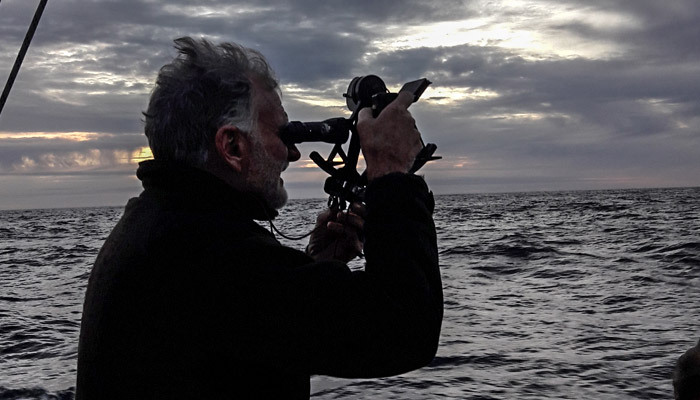 Every prospective crew must submit any qualifications they have, plus a sailing CV in order for Pelagic Expeditions to judge whether he or she is suitable for this specialized voyage. There is no age limit, but we stress again that in order to benefit from this passage and the course, a reasonable degree of fitness and a high level of self motivation is required. Pelagic Australis is run as a 'dry ship' when at sea and possibly at some anchorages when there is a real possibility of having to 'up anchor' and move off. This is at the Skipper's discretion. In port reasonable amounts of alcohol can be consumed but excessive alcohol consumption that leads to situations which put people at risk, or where the harmony of life on board is disturbed to an extent that other guests are made uncomfortable will not be tolerated. If this situation arises, the Skipper reserves the right to return to port and to disembark any Charterer at an intermediary port, or disembark the entire group in a group charter if necessary. Pelagic Australis is a recognized and licensed RYA training facility. Pelagic Expeditions will provide a qualified RYA Instructor to conduct the Pelagic syllabus in addition to the vessels skipper and crew who will instruct the students in all else as mentioned in the general syllabus. 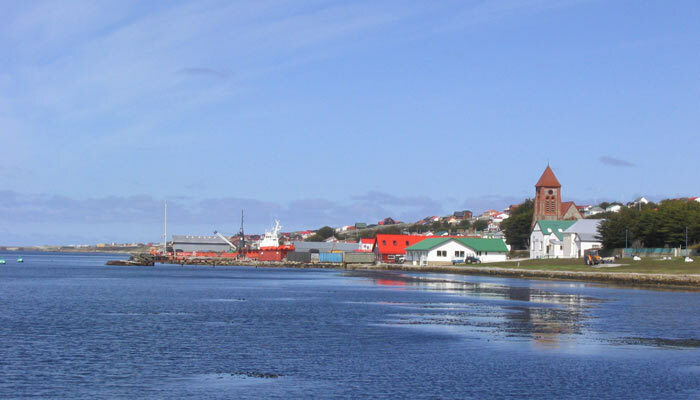 The Falklands offer a good mixture of weather, varied tides and many natural harbours. It is an ideal place to review sailing and navigational skills and put new skills into practice under the tutelage of the RYA instructor and the Pelagic crew. The variability of South Atlantic weather means crew are kept busy with reefing and sail trim. It can blow anywhere between nothing to 60 knots, especially in the autumn. One day can be big winds and big seas, the next blue sky and calms. 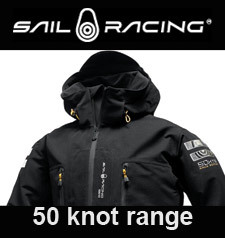 This allows students to think about optimum sail plans for the prevailing conditions. Though the tidal range is not as large as many parts of the world, there is enough to make tidal depth calculations important. Students are able to practice some of the more intricate calculations required to get over shallow bars and to work out required depths for anchoring. Despite the relatively small range there are some deceptively strong tidal gates around the islands. A good example is Tamar Pass in the NW where tides can run up to 10 knots at Springs. This requires careful planning for the navigator. The islands extend west to east some 150 miles making for some useful longer overnight passages. This gets the students used to getting into a regular watch system and to experience some night hours, all in preparation for the transatlantic journey ahead. On the other hand, the natural geology of the islands give numerous natural harbours and bays to explore. Often, we are entering unexplored harbours so students may be using the dinghy and hand held depth sounder to con the vessel into her anchorage. Often we are making our own pilotage charts for future visits! 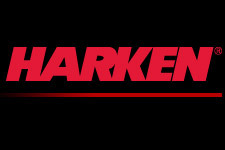 With no marinas, anchoring is the normal daily routine. 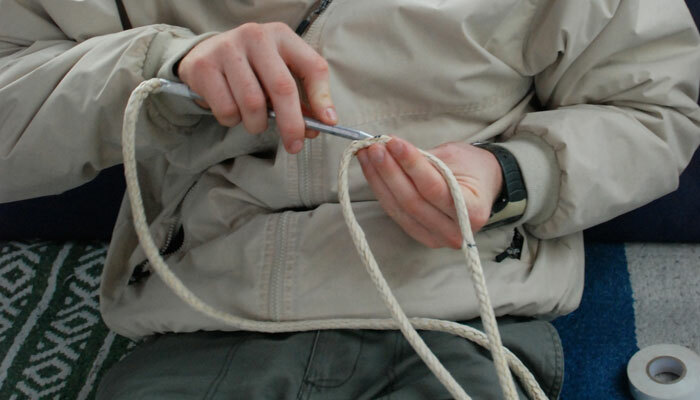 Students learn the process of laying the ground tackle correctly and in strong wind conditions, maintaining an anchor watch. In some harbours, it may also be necessary to take additional ropes ashore. This involves good teamwork and coordination to help put out the wire strops, manoeuvre the tender, get ropes ashore and secure them on-board. Pelagic Australis is fitted with all the latest electronic navigational equipment and students have the opportunity to learn how to navigate many of the trickier harbour entries with Radar and Pilotage techniques alone which are always good to practice. Though generally traffic is light, there is still a good variety of commercial traffic around the islands requiring a good knowledge and application of the ‘Collision Regulations.’ Though limited in number, there are a good variety of ‘aids to navigation’ including lighthouses, buoys and transits. 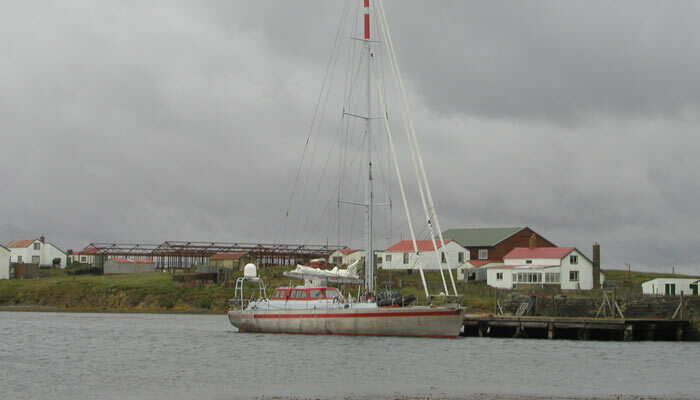 The Falklands offer a true adventure sailing experience in one of the most remote corners of the world. Students will arrive in Port Stanley on April 11th via the Saturday Latam flight from Santiago and can go straight on board. An alternative is to take the RAF flight from Brize Norton in Oxfordshire which will arrive a few days earlier. Guest house accommodation can be booked directly or through International Tours and Travel. We can recommend hostel or hotel accommodation for those nights prior to the embarkation date, and meals on those days will be the responsibility of the students. 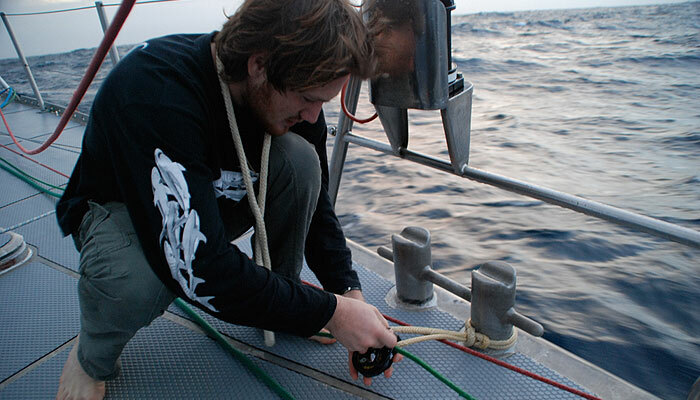 Having moved on board on April 11th and the students begin the five day Pelagic course in a classroom in Stanley. On or about April 16th, Pelagic Australis will depart Stanley and begin the cruise through the archipelago of the Falklands Islands concentrating on West Falkland which has the best wildlife and points of interest. If the weather is favourable the entire island group will be circumnavigated before returning to Stanley to fuel and provision up for the ocean crossing to Cape Town. 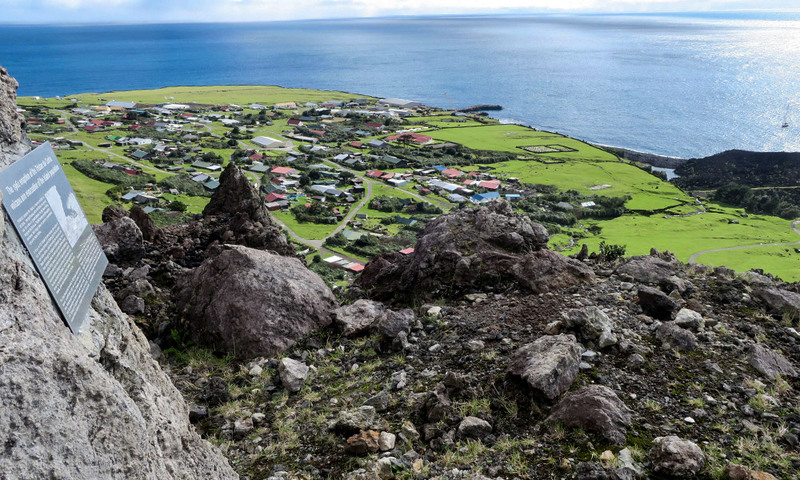 The remote island of Tristan da Cunha is along the track at 40 degrees South and if the surf off the open roads is reasonable a landing will be attempted for a rare visit to this British overseas outpost, largely populated by descendants from ship wrecked sailors of old. On a good day, Table Mountain can be seen from 50 miles offshore and our ETA is expected there about May 23 2020. Cape Town – Tavern of the Seas! The Malvinas Hotel is the only true hotel, but there are other guest houses and boutique accommodations available. We can advise on those and you can book directly or through International Tours and Travel. Crew must make sure they have visas if required for the Falklands and South Africa. Photocopies of these visas and proof of a return ticket out of South Africa will be required by Pelagic Expeditions. It is essential that you have at least two clear pages in your passport BEFORE entering South Africa. Use of Inmarsat communication system on board (note: satellite time is billed separately as used). Equipment List 2 - For the Atlantic Deliveries.